Midtownians! Raph here, with some X-Men comic recommendations! 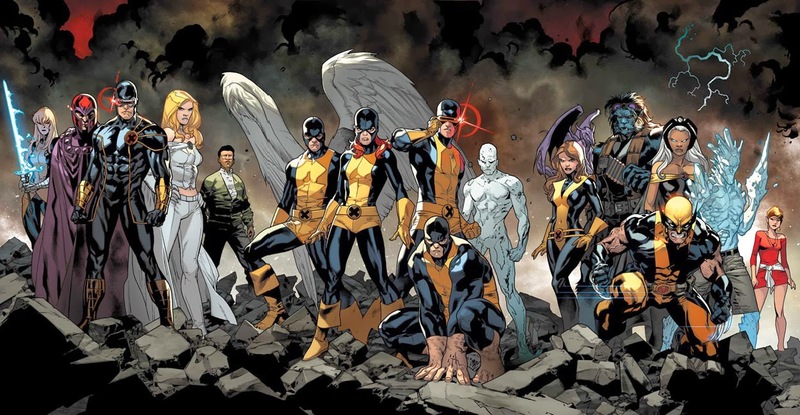 With the release of Days of Future Past, we’ve decided to provide you with a primer to the multitude of current X-Books, so that you can jump on board and enjoy Marvel’s Merry Mutants! Hurricane Sandy did tremendous damage to the New York and New Jersey area and now Midtown Comics, with the help of writer Brian Wood, is giving back! 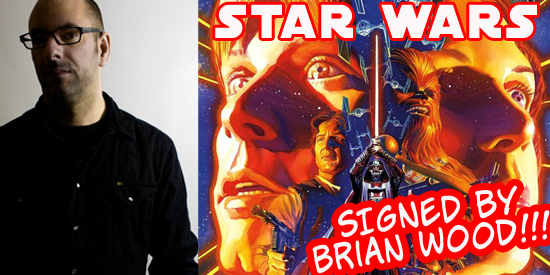 We’re making available limited quantities of the 1st printing of Star Wars #1 SIGNED by writer Brian Wood from Dark Horse Comics! These books are available online for $20 and we will be donating 75% of the proceeds of the sale of these books to K.I.D.S. – Kids In Distressed Situations, a charity that provides relief to the young victims of Hurricane Sandy and their families in NY and NJ. Get your copy now RIGHT HERE! Kids in Distressed Situations strives to minimize the impact of poverty and tragedy on the well-being of children and teens and to maximize their self-esteem and dignity through the agency partner distribution of kid-essentials made possible by the donation of product and funds from companies, foundations and individuals. Release party for Brian Wood’s The Massive #1 and more! Brian Wood & Becky Cloonan sign Conan The Barbarian #1 at Midtown Comics Downtown! New York, NY, February 6, 2012- Midtown Comics in New York City will present Brian Wood and Becky Cloonan signing Conan The Barbarian #1 from Dark Horse Comics at Midtown Comics Downtown on Wednesday, February 8th from 6:00PM to 7:00PM. Brian Wood is best known for his creator-owned work that includes DMZ, Northlanders, Demo, The New York Four,The Couriers, Channel Zero, Local and Supermarket. Brian is set to release his newest series, The Massive with Dark Horse Comics. Becky Cloonan is an award-winning cartoonist and illustrator who started self-publishing mini comics in 1999. Since then she has gone on to work with Vertigo, Dark Horse, Harper Collins and Marvel, with editions of her work published in several countries around the world. Conan The Barbarian #1: In this sweeping adaptation of Robert E. Howard’s fan-favorite “Queen of the Black Coast,” Conan turns his back on the civilized world and takes to the high seas alongside the pirate queen Bêlit, setting the stage for an epic of romance, terror, and swashbuckling. This is Conan as you’ve never seen him, with the combination of one of Robert E. Howard’s greatest tales and the most dynamic creative team in comics! RSVP to this event on Midtown Comics’ Facebook page! G4’s Blair Butler Live (not really) From Midtown Comics! During the week of New York Comic Con, G4’s Blair Butler filmed her segment Fresh Ink from Midtown Comics Times Square. This is that segment.